Challenge the best tennis players in the world, including Steffi Graf, Anna Kournikova and Venus Williams. 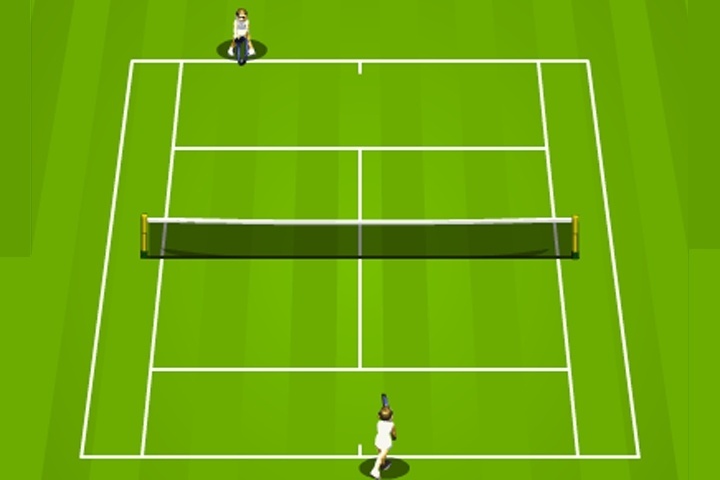 Play two players with a friend or compete against a computer in a fast-paced game of tennis! Tennis Game is a sport game. Very nice and addictive sport flash game. You can play an Exhibition match against the computer or you can take part in the Tournament. Use ARROW KEYS to run on the court and hit SPACEBAR to smash tennis ball. If you want to play Tennis games online you have come to the right place! GamesLoon adds new Tennis games every week. This is your game portal where you can find the biggest collection of free Tennis games online. Do not forget to rate our Tennis free online games while playing!